We offer our clients high quality MS and SS Storage Tanks for various pharmaceutical and chemical industries. These storage tanks are constructed using high grade raw material in accordance with industry quality standards. Further, we can customize these tanks as per specifications provided by the clients’ at the most affordable prices. By keeping track of market developments, we bring forth for our clients a distinct assortment of Storage Tank. Applicable in numerous industries like Agriculture, Chemical, Gas & Oil, Pulp and Paper, etc for storing different products, this tank is manufactured using supreme grade raw material and contemporary technology. We offer our client an excellent quality range of Storage Tank, which are manufactured from high grade quality raw materials. These Storage Tank can be customized as per our precious customers specifications. 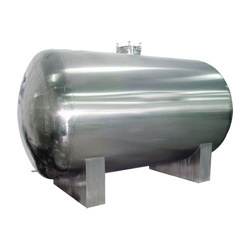 These Storage Tank are widely known for its durability and quality. Our Storage Tank can be availed at industrial leading price. A well established company, we are engaged in providing oil tank. These are known for large storage capacity(upto 25 KL), compact design and sturdy construction. 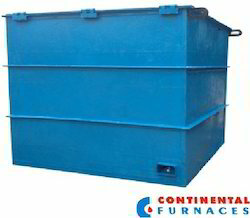 Our furnace tanks are made as per the industrial quality standards. Omega are Manufacturers and distributors of carbon dioxide (CO2) and Dry Ice Storage Tanks and Containers. We are also into testing and maintenance of high pressure industrial gas Storage Tanks, supply of storage tanks and transportation tankers, containers for storage and transportation of Dry Ice, Argon & Argon-CO2 mixtures.